We have all heard crazy stories about how people would push, strike, and kill to get the latest Apple gadget and Apple lovers are well-known for that. That kind of devotion to Apple products what makes the company what it is now. 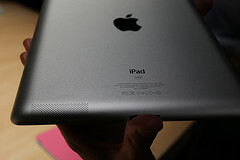 However, selling a body part to afford and iPad 2 is definitely something I have never heard of before. Based on a featured story in Global Times, a teenager in China’s Anhui province desperately wanted to get the latest iPad2 tablet and sold his one of his kidneys to afford it. Zheng, a 17-year old high school student, said that he really wanted to buy an iPad2 but did not have the monetary resources to afford it. A broker got hold of him via the internet and said he can help Zhen. The broker was very true to his word and helped Zheng get 20,000 yuan (about $3,000) in exchange of one of his kidneys. The operation was done and completed on 28th of April. Zheng’s mother had no idea what her son is up to so she was shocked to see his son with a brand new and expensive Apple iPad2. After she found out how her son got the money, she immediately reported the incident to the authorities. Apparently, they have been trying to track down the broker for a very long time. How the operation was completed without parental consent, Zhang being a minor is still a puzzle. The authorities, however, are doing every possible thing to put an end to this. 21-st century money launderers have forgotten about bulk cash that is hard to hide; it is simply too inconvenient for them. They have found a rather safer way to stash money in the form of prepaid cards. Prepaid cards are electronically loaded with cash. Moreover, getting them does not necessitate a bank account. 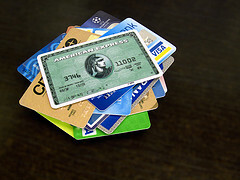 In fact, many of these prepaid cards can be bought and used anonymously. In the past couple of years drug dealers have increasingly used prepaid cards to pay for couriers that transport illegal drugs, said senior United States Immigration Customs Enforcement agent John Tobon. He added that the use of prepaid cards is a huge threat that regulators may have overlooked. No one knows yet how often prepaid cards are used to move drug earnings across the U.S and Mexico borders; an estimate of at least $20 billion dollars cross the borders every year. Anyone who crosses the border carrying more than $10,000 in cash must declare it to authorities, while prepaid cards are exempted by law. Tobon said that a lot of law enforcers all over the world give up their lives to fight drugs and money laundering; and prepaid cards are helping these people get away with it. Furthermore, a report from the U.S. Treasury Department sited an observation that the 9/11 hijackers were identified due to bank and wire-transfers. The report further said that had they used prepaid cards, they could have very well covered their financial footprints. 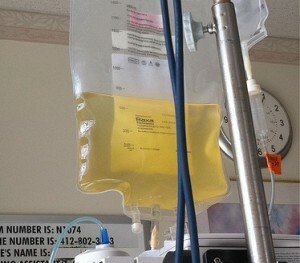 Nine patients from different hospitals have died in Alabama after they have received an intravenous nutrition therapy. Health officials say the feeding bags that were given to the patients were contaminated with a certain bacteria. The bacteria, identified as Serratia marcenscens, were first discovered in the patients before authorities performed cultures on the intravenous infusion called total parenteral nutrition or TPN. The bacterial outbreak affected 19 patients from six hospitals in Alabama. However, it was still unclear whether the bacteria caused the patients’ deaths. Out of the 19 patients who have received the parenteral nutrition, nine of them have died. Total parenteral nutrition is an artificial method of giving feeding solution through injection. Infection is the most common complication of TPN and deaths usually arise from shock. An investigation was instigated on March 16 when two Alabama hospitals reported unusual case of bacterial infection in highly susceptible patients. The Centers for Disease and Control Prevention is also helping with the investigation along with Alabama Department of Public Health. The hospitals affected include Cooper Green Mercy, Baptist Prattville, Baptist Princeton, Baptist Shelby, Medical West and Select Specialty Hospital in Birmingham. The product has been withdrawn from the market on Thursday. The manufacturer of the feeding bag has not commented yet. Officials say the feeding products no longer pose threat while investigation is focused on how to prevent such incident in the future. The 10 infected patients who survived from the outbreak are still admitted and being monitored in the hospital, health officials said on Tuesday. 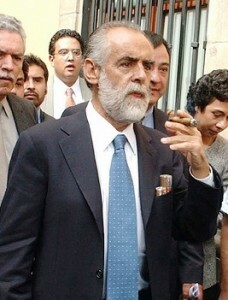 Diego Fernandez de Cevallos, a well-known former presidential candidate in Mexico, was freed after being held in seven months of captivity by an unknown group. A member of President Felipe Calderon’s National Action Party, Fernandez talked to the media waiting in front of his house in Mexico City on Monday. The former PAN Senator thanked God that he is fine. During the interview he was seen having a beard that turned entirely white during his captivity. He also added that he is strong and his life will continue being the same. Fernandez was kidnapped in May when he arrived at his ranch in central Mexico late at night. His car was found with some of his items inside, and a pair of scissors with blood stains was left on the ground nearby. After a few months, abductors released photos to selected media showing a blindfolded and bearded man who looks extremely similar to Fernandez. This is an evident move to pressure the family of the politician to pay for his freedom. According to authorities, there were no indications whether Fernandez’ captors have any links to drugs, as well as previous kidnapping for ransom. Fernandez said in an instant news conference in the driveway of one of his houses in Mexico City that he had forgiven his captors, but the authorities should still get them. Prosecutors said they continue the investigation that was stopped at the request of his family the day after he was kidnapped. Calderon also congratulated Fernandez on his release. Fernandez is known for his open personality, which is often called “Jeje Diego” that means, Boss Diego. He played an important role in strengthening the PAN in the run-up.